With The Power Of Mushrooms! Protect What You've Already Built. 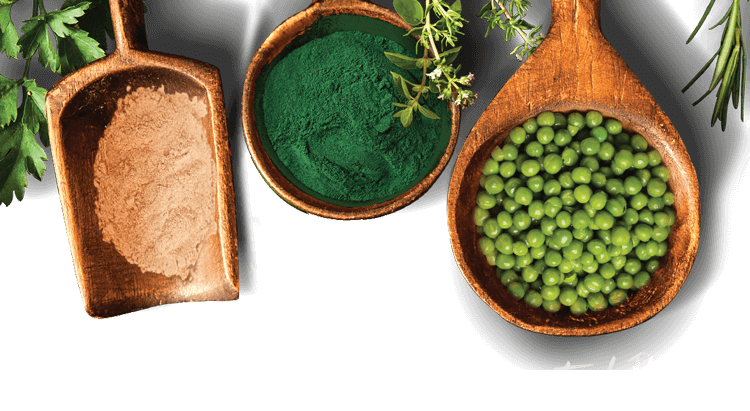 Our combination of six different protein sources gives you all the aminos you could ever want. Protease for improved digestion and no bloating. No dairy or soy. Allergen free. Absolutely no artificial flavors, colors, or sweeteners such as sucralose or ace k.
Vegan, non-GMO and gluten free. Blends easily and conveniently with your favorite beverage. 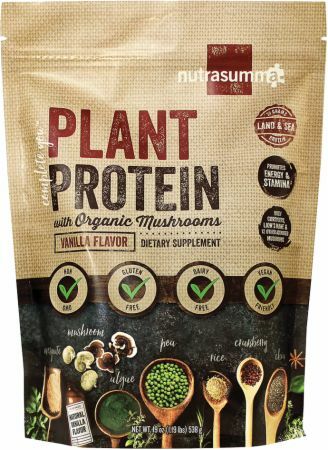 No Plant Protein with Organic Mushrooms Reviews Found. 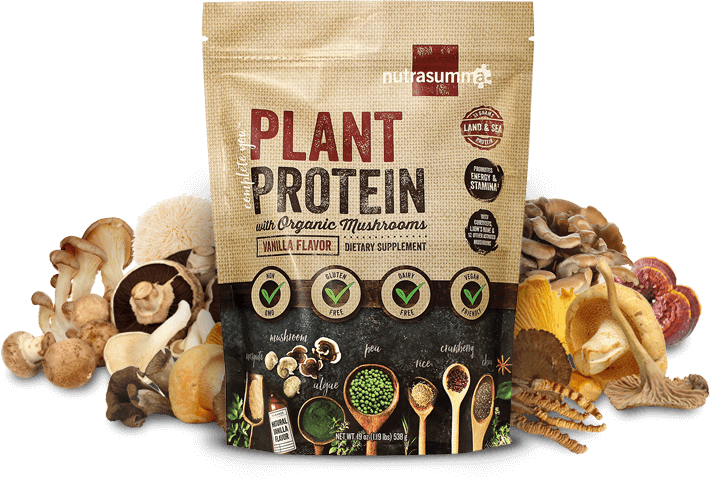 Directions For Plant Protein with Organic Mushrooms: Mix 1 scoop with 8-12 oz of water or your favorite beverage. For best results mix in a shaker or blender for 30 seconds. Vary the amounts of liquid to achieve your desired consistency and taste. 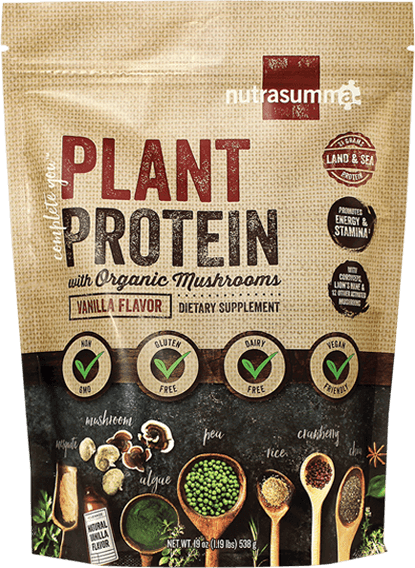 Tastes great in almond or coconut milk! Warnings: Store in a cool, dry place. Keep out of reach of children. Consult your health care provider before use.